It goes without saying that walking is one of the easiest ways to burn calories and stay in shape. Ideally, an adult should make 10000 steps a day though anything above half this mark is considered beneficial to health. From reducing weight to building muscles and more, walking has multiple benefits that not many people can overlook. 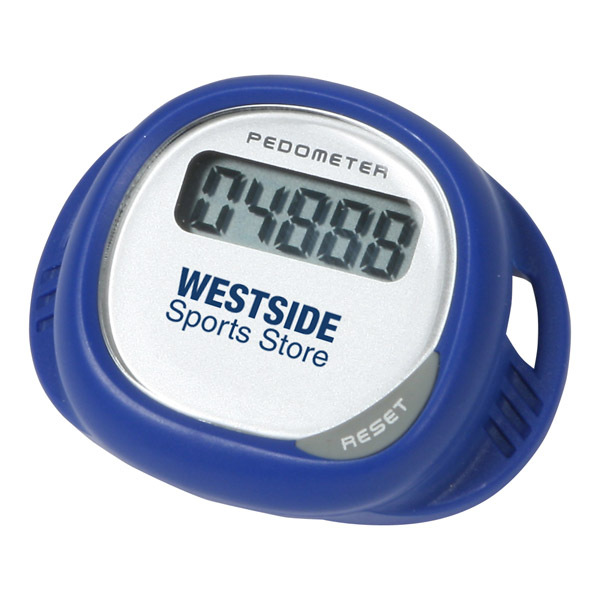 A pedometer is a great way to track the steps, distance and the number of calories. It will keep the users motivated to better their personal best and achieve their optimal best. Studies show that the main reason why people skip work outs or stop going to the gym is lack of inspiration. The initial zeal of the users will fade out as days go by due to lethargy and lack of self motivation. This is what makes custom pedometers a great choice by offering a progress card of the achievements of the fitness enthusiasts’ real time. The budget friendly gifts everyone likes! 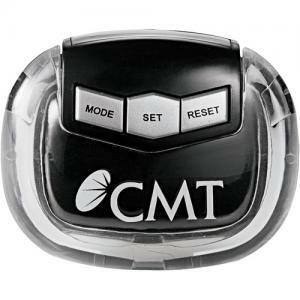 Pedometers make budget friendly gifts that everyone will like. 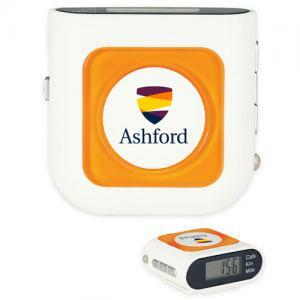 Offered in a range of convenient models that suit the fitness routines of newbies and seasoned fitness experts, custom pedometers make thoughtful gifts to promote all types of brands and businesses. Easy to use and highly useful, these logo items will literally sneak in your brand and message to the hands of your prospects. 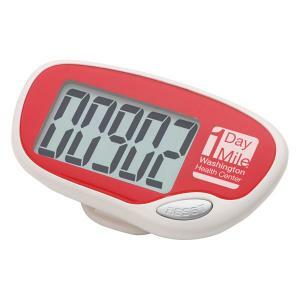 Single Function Pedometer Easy to read, these simple and basic models will tell you the number of strides made. 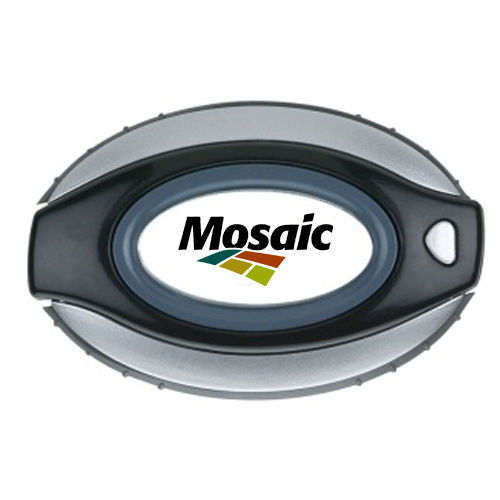 Every time your recipients use these logo items they will get engaged with your brand thereby giving you the best return on investment for your business. It makes a meaningful handout to promote all types of events and brand especially health and fitness brands and events. 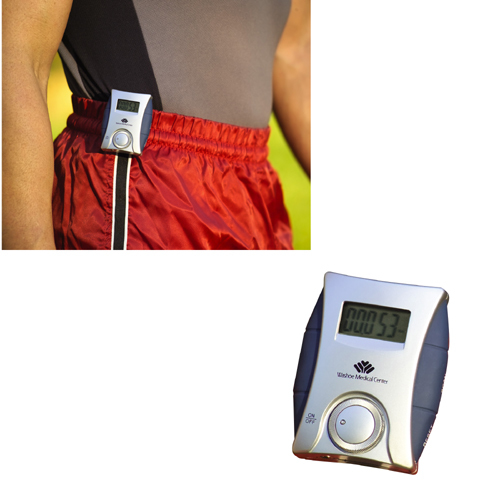 It makes an ideal gift for newbie fitness enthusiasts and to get your message far and wide. 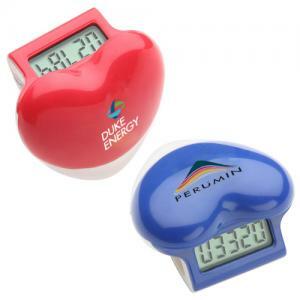 Multi function pedometers These well designed promotional pedometers feature clock, timer and distance functions, digital display and 5 digit step counter and sensitivity setting among others. 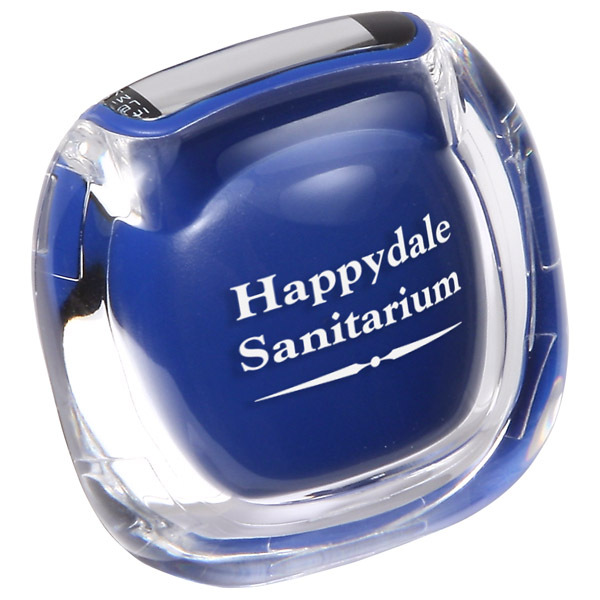 These are ideal for promoting wellness events and brands and to reach out to everyone who takes fitness seriously. 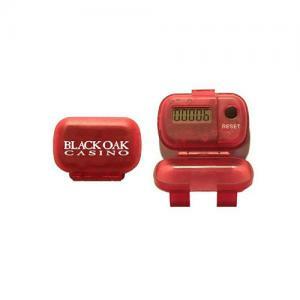 Customize these with your brand and message to make it a well retained custom gift that everyone will love. 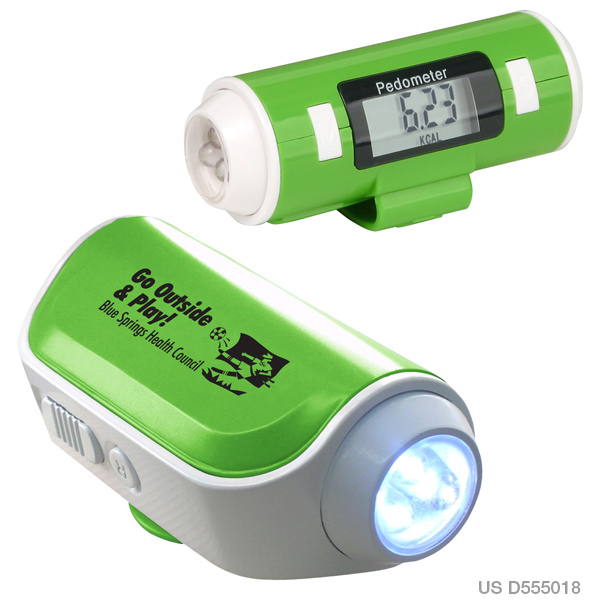 Flashlight and Siren Pedometer: Work out and stay safe during the dark winter days and nights with these highly useful siren pedometers that will double up as a source of light as well. Customize these with your brand and message to make it a high utility gift that nobody can resist. 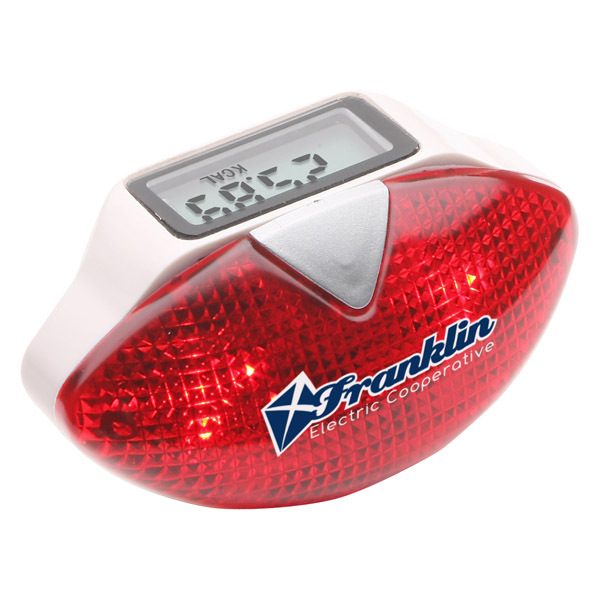 We have a lot more models in custom pedometers that will keep your recipients fit and your brand image robust. Try now!